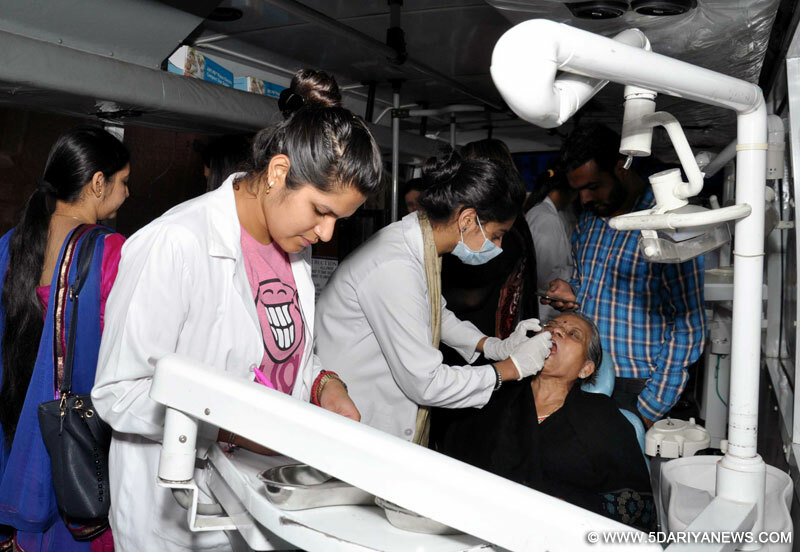 Breaking the lull and boredom of the occupants of Old age home at sector 15, the team of the doctors of Rayat-Bahra University engineered a Dental check-up camp at the premises.The team of adept doctors of Rayat-Bahra Dental College & Hospital, Mohali, conducted a ‘Regular dental check-up’. Teeth being one of the most important part of one's personality ask for thorough care and hygiene.The team focused on how to keep overall oral hygiene and benefits of it including brushing and regular flossing.The "Regular dental check-up" pressed on avoiding all mouth related problems and diseases, for all age groups, by taking attentive care of the teeth therefore adding to overall wellness.Bearing the motto of "healthy mouth, healthy body", the camp welcomed the residents of sector 15, the old and the needy too. Sh. Gurvinder Singh Bahra, Chairman, RBGI told that Rayat-Bahra group keeps on organizing such activities that could benefit the society under “Corporate Social Responsibilities’. He was happy to advert and attend the people in their lonely old age away from their families.